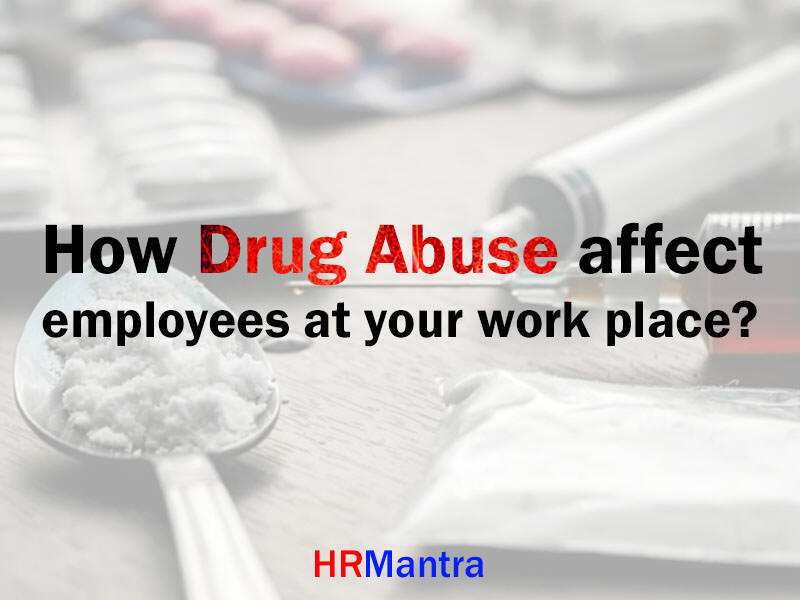 How Drug Abuse affect employees at yourk workplace? How Drug Abuse affect employees at your workplace? Protect your company from Drug Evil!!! Exactly after one month from now, we will be celebrating International Day against Drug Abuse and Illicit Trafficking (June 26th). We have been internationally fighting hard against drug evil to avoid hazy future. According to study, we have mainly that consumption of drugs is been very popular in youth generation which directly or indirectly affects the potential growth of the nation. Increased absenteeism or on the job "presenteeism"
If you have a look from the financial perspective, the drug abuser cost organization double if compared with the non-drugs abuser in case of employees compensation and medical expenses. Employees who consume drugs are 5 times more likely to file employees compensation claims. In the year 2015, that council reported that federal surveys indicate 24% of employees reported drinking on the job at least once in the past year. To deal with substance abuse problem in the organization you first need to trace or recognize where exactly problem exists. Following signs will help you to recognize alcohol, drug or illegal substance abuser within the organization. Though none of these sign alone can imply anyone as a substance abuser, a combination of these symptoms will help you recognize and work on a problem which may affect your business adversely. As an organization, you can implement a companywide policy against substance abuse, Coaching departmental managers to recognize such abuse, and set expectations for employees through coaching can assist to safeguard your company and your employees.